Kenzō Tange was one of the most significant Japanese architects of 20th century. He was born on September 4, 1913 in Osaka, Japan. Tange spent of his childhood in Chinese cities, Hankow and Shanghai, but was later raised in Imbari. In 1930 Tange moved to Hiroshima to get enrolled at a high school after completing his middle school. During his stay there, Tange came across works of Swiss architect, Le Corbusier and made up his mind to purse architecture. It took Tange two years to prepare for entrance test and eventually started studying architecture in 1935 at University of Tokyo’s architecture department. A significant influence of Le Corbusier could be evidently witnessed in his works. After graduation Tange commenced his career by working at the office of Kunio Maekawa. During this period he traveled a little and as the World War II started, he flew back to Tokyo and started his post graduate studies at the University of Tokyo. There he developed interest in urban design and started reading extensively about Greek and Roman marketplaces. In 1946 Kenzō Tange secured the position of assistant professor at the University of Tokyo and was promoted to the rank of a professor in 1963 at the Department of Urban Engineering. During this time Tange opened his own Tange Laboratory. Tange is counted among most notable Japanese architects who struggled hard to revive traditional Japanese architecture by blending conventional methods with modern trends. He worked so extensively on this peculiar area that he ultimately gained his worldwide popularity as an architect whose work was so purely and intensely Japanese in nature. Tange knew the art of winning his very regional work an international admiration by developing and demonstrating it in circumstances corresponding with demands of current times. 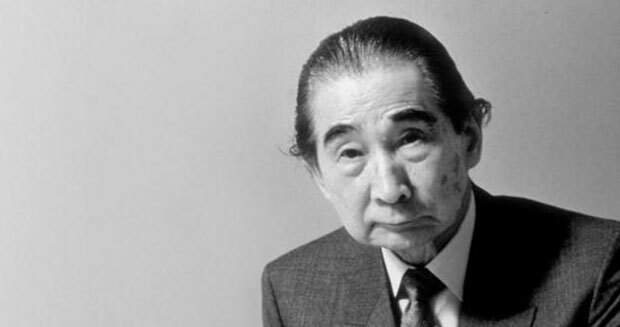 Kenzō Tange died on 22 March 2005 at the age of 91 in Tokyo, Japan.